We have all now received the devastating news of the revised Greater Manchester Spatial Framework and I need to contact you urgently to explain my position. As a Member of the Planning Control Committee, I am prevented from giving a view on planning applications until they come to the committee meetings. However I can now reassure you that I will step down from this committee so that I can now speak out freely on your behalf and campaign fully against the proposals to destroy forever the green spaces at Walshaw Brook. Despite all the assurances and fine words from Andy Burnham and Bury’s Labour Leader Rishi Shori, NOTHING HAS CHANGED IN WALSHAW from the first plan in 2016 with STILL the proposal to build 1250 HOMES on WALSHAW BROOK, stretching across this beautiful GREENBELT land from Scobell Street (an area which has suffered severe flooding ) right across to Walshaw Road. Bury’s Labour Council MADE THESE DECISIONS and ignored the petition with over 2000 names which my ward colleague Cllr Iain Gartside presented to Bury Council two years ago. Do not be fooled by Labour blaming the Government. Bolton are to build their quota on BROWFIELD sites and yes share the same Government with Bury ! Sadly in Bury we have NO VISION and POOR LEADERSHIP…otherwise Bury would have planned for this with compulsory purchase run down employment areas in Bury town centre years ago ,areas which are desperately in need of regeneration. Do remember LABOUR have been in charge of your town for most of the past 35 years….way before any cuts ! Attend every meeting in the area and voice your opinion. 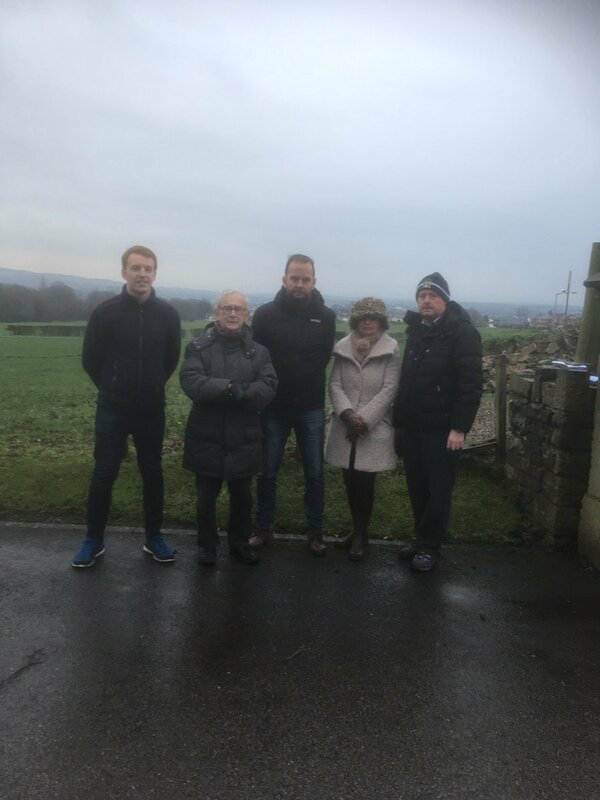 Support BURY FOLK in their campaign to save Walshaw Brook, follow them on face book for updates and attend their meeting on Wednesday next 23rd January at the Elizabethan Suite at 7.30. We have to work together to fight this…those who know me will recall that I am a seasoned campaigner and have a history of successful campaigning. I was one of the leaders in the campaign to keep free parking in Tottington village in 2006 and against all the odds we won against brewery Greenking !!!! Also an achievement which I am extremely proud of was along with Iain Gartside we were the instigators in saving Tottington Library from closure in 2017 and again along with many volunteers WE WON! This fantastic community facility is going from strength to strength. I am a fighter for what is right and am with you all shoulder to shoulder to stop these proposals to destroy Walshaw Brook.